Emma Gingerich (left) as a child, (centre) as a teenager before her escape and (right) as an adult in the modern world. EMMA Gingerich didn't just belong to the Amish community - she was Swartzentruber Amish. 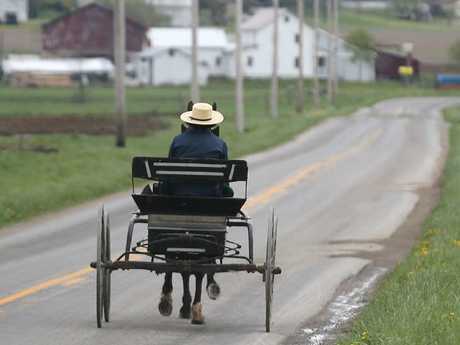 One of the most conservative Amish sects in the world, the Swartzentruber speak in Pennsylvania German, don't use electricity or running water and shun modern devices like bicycles. Living in a family of 14 children, Ms Gingerich finished all the schooling an Amish American will get, eighth grade. But having never studied history or geography, she was not aware the earth was round and believed it was still flat. In the tiny village of Eagleville, Missouri, in the United States Ms Gingerich spoke no English and lived the life of a 19th century girl destined to marry into her sect and have many children. 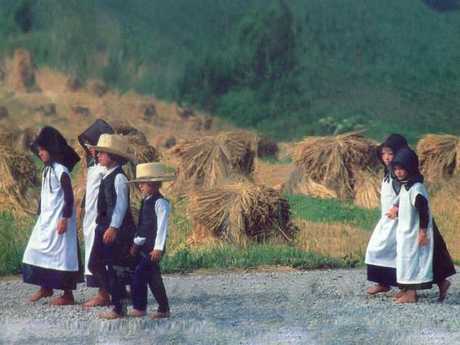 The Swartzentruber Amish are the most uneducated and resistant to change of the 11 main Amish groups in North America. They are known as "dirt rollers" because they only take a bath on Saturdays. The result of a split during World War I, their style of dress tends to be longer, heavier and plainer than other Amish. For this reason perhaps, the Swartzentruber has allowed one innovation in the last century, and like 97 per cent of Amish, now use motorised washing machines. But while other splinter groups have adopted technology such as the tractor, refrigerator, running water, pressurised lamps and inside flush toilet, the Swartzentruber has steadfastly refused. 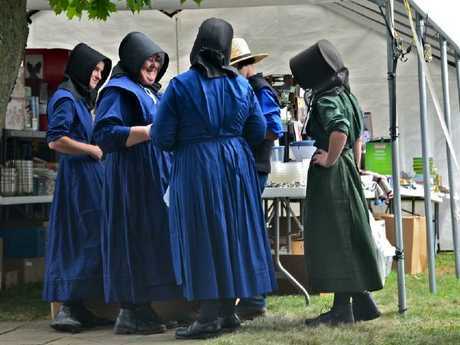 Women dress in more sombre colours with plainer bonnets over their uncut hair, and the men wear hats with shadier brims than members of other Amish sects. The buggies they drive on US roads bear lanterns for illumination and use reflective tape instead of the fluorescent triangles for "slow moving" vehicles, which they deem too worldly. Emma Gingerich was happy being Amish until the age of 14, when school ended and she still thought the world was flat. 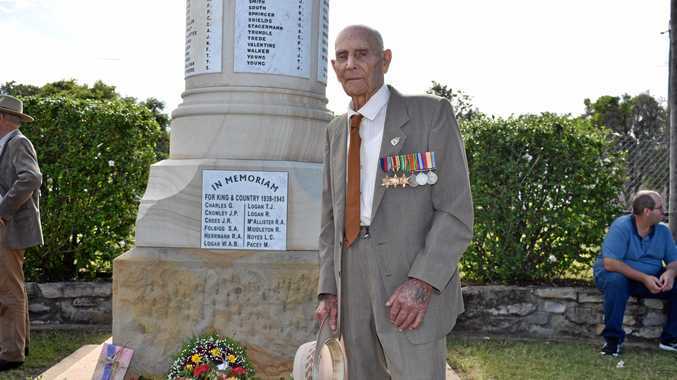 "We weren't allowed to ride in cars or drive cars, weren't allowed to have radios … and we weren't allowed to have much contact with the outside world," Ms Gingerich told SBS Insight. She was, however, "pretty happy in the Amish community until I was done with school". "I was 14 years old. This meant I had to work and I realised there was so much more out there for me." She was introduced to Amish boys whose courtship would comprise hugging in bed, fully clothed. Living in a family of 14 children, Emma Gingerich (left) was brought up without electricity, running water or an indoor toilet. She began cleaning local non-Amish houses, began learning English, befriended a couple and began planning her escape. In 2006, when she was 18, and with only one of her siblings knowing what she was doing, Ms Gingerich fled with only the clothes she was wearing and a telephone number. Men from the Swartzentruber Amish (above in Pennsylvania) wear broader brimmed hats than more liberal sects. Picture: Pete Vizza. 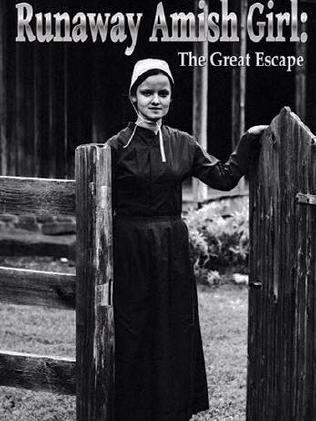 As she explains in her book, The Runaway Amish Girl: The Great Escape, she was "terrified" and unprepared for the culture shock which was to come. She left a note for her parents, writing, "The time has come for me to leave, I am not happy here anymore. I am sorry to do this to you but I need to try a different life." Her father has never forgiven her. An Amish buggy makes its way through the cornfields carrying a more liberal sect member that permit the orange triangle signs. She walked 6km to another village, and called the number of a woman, an ex-Amish, she had never met. The woman picked up Ms Gingerich and took her to a house an hour away, over the border and out of Missouri. 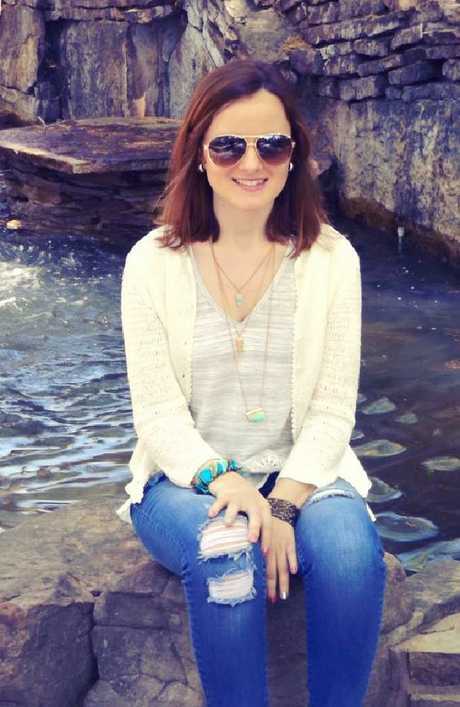 After a short time, she moved on to Texas and studied for the US version of the HSC, the GED, and, eventually, a college degree. She began wearing bright clothes, makeup, driving a car, eating takeaway and dating men. It was not all plain sailing. She now wears bright colours and drives a car. As she revealed on SBS Insight, Ms Gingrich met men who she thought were "helpers" who took advantage of her sexually. 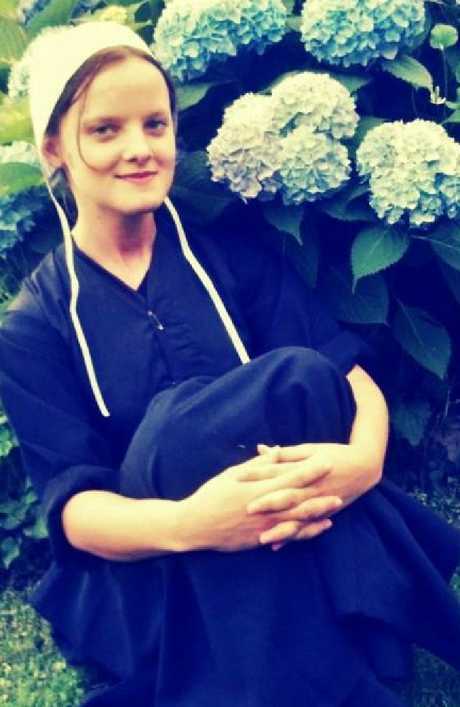 Her "very strained" relationship with her family meant visits back to Eagleville for events such as a funeral required her to wear Amish dress just to be let back into the house she grew up in. Amish women and children at an Ohio school after hate crime convictions for hair- and beard-cutting attacks against fellow Amish. Picture: Scott R. Galvin. 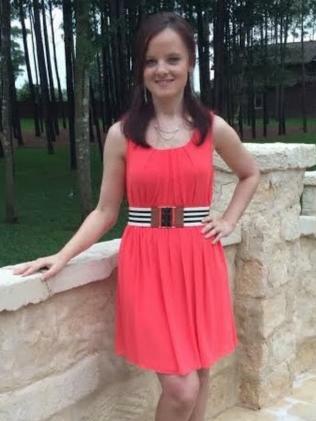 She told SBS that she now lives in Dallas in a three-bedroom house, works in a hospital and is studying for an MBA. For someone who had never had a conversation on a telephone, she has embraced technology. But the first time she went on the internet, she did not know the difference between capital and lower case letters when attempting to type. Now she favours Pinterest and Instagram and googled her own grandfather. 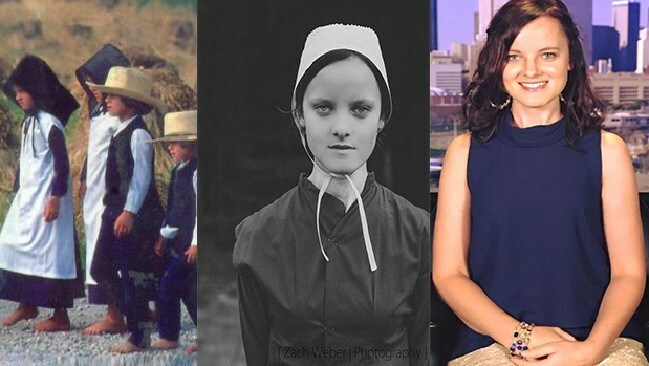 Emma Gingerich (above) told SBS she was terrified at first to flee her life in the Amish community. 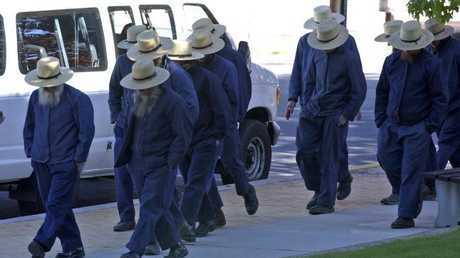 She was shocked to find he was accused of sleeping with his own daughters but was not prosecuted because he was Amish. Now aged 30, she contemplates having her own children and would "let them be their own person". 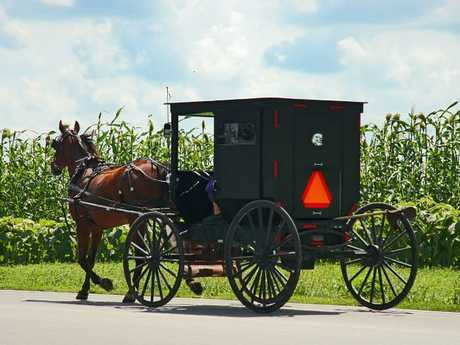 The Swartzentruber Amish fought Pennsylvania state law in court to resist orange reflective triangles on their buggies which were ‘too worldly’. Picture: Phil Masturzo. She told The Atlantic that her father's hard line against her for leaving the sect was more explicable because three of his sisters had left long before. Gingerich had never used a phone and was shocked to find disturbing details of her Amish grandfather on Google. "I'm thinking it was all because of their dad. And my dad was not near the horrible person that his dad was, so he probably just couldn't understand why I wanted to leave." She hopes that some day her family will accept her, and stays in touch with other Amish who have also left the religion.